BACK ON MARKET!! PRICE REDUCED TOO! 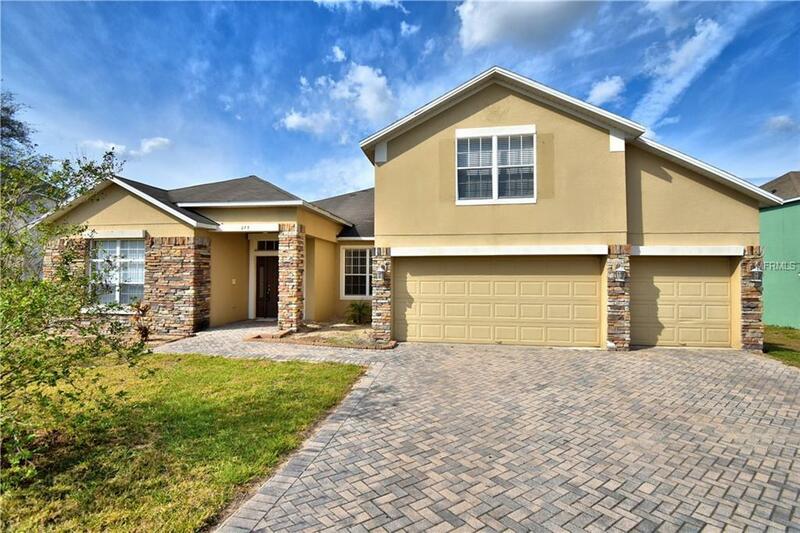 PERFECT 5 BEDROOM 3 BATH WITH BONUS ROOM UPSTAIRS HOME FOR ENTERTAINING LOTS OF GUESTS! 3 car garage, upstairs gaming loft, HUGE open concept living space with GREAT room, dinette , breakfast bar, kitchen with island and split bedrooms. Formal dining room, formal living room, built-in shelving in great room, triple wide sliders to the porch, and inside laundry just off kitchen and garage. Luxurious master suite with tray ceiling, private patio French door, garden bath, separate walk-in shower, 2 walk-in closets, watering closet, linen closet and long vanity. Lots of light throughout, 3 car garage and wide driveway with pavers and plenty of space for parking.